Stress and anxiety can wreak havoc on a student’s ability to concentrate on tests, leading to poor performance and, ultimately, fewer opportunities to succeed in school. A new study highlights an effective solution: Guide students to view stress differently—as a boost instead of a burden. Simple 10-minute writing exercises given just before a test helped students see stress as “a beneficial and energizing force” that could help them. 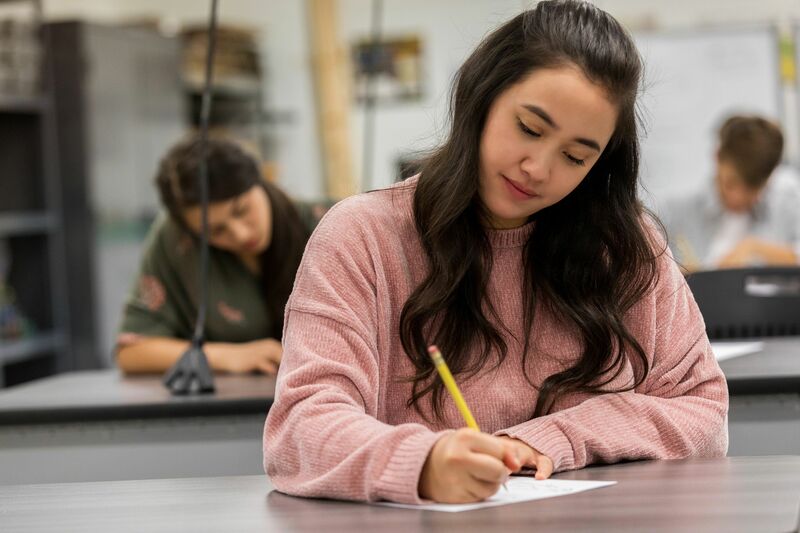 Psychologists Christopher Rozek, Gerardo Ramirez, Rachel Fine, and Sian Beilock followed 1,175 high school biology students for a year to study how stress affected their ability to pass major exams. They noticed that low-income students were disproportionately harmed by difficulty regulating test anxiety. These students experienced “worried thoughts about the possibility of failure” that became a self-fulfilling prophecy: Being stressed about failing increased the likelihood of failure. But 10-minute writing exercises that encouraged students to let go of negative thoughts, regulate their emotions, and reinterpret stress as a positive force helped them perform better.